In the fall of 2013, Kenny Freundlich and other LTS staff enabled multiple collaborations between a Wellesley History course on Chinese-American relations taught by Pat Giersch and a similar course taught at Hong Kong University by James Fichter. LTS helped Pat explore different ways of collaborating Fichter and his students, as the two courses shared significant areas of overlap. Among the goals of the project were internationalizing the curriculum, and providing Wellesley students with opportunities to engage with students from different perspectives. Rather than full scale videoconferences between both schools for every class session, we intentionally chose a lower frequency of technology-dependent exchanges. During the semester, there were two simultaneous live guest lectures (with rebuttals and Q & A), using WebEx, external webcams, and a handheld mic for students' questions and comments; several collaborative writing assignments involving Wellesley & Hong Kong students using Google Docs; and a small number of live discussion sections with faculty and clusters of eight students using Google Hangouts. Results/Outcome: Increased exposure of Wellesley students to different perspectives and interpretations of issues of Chinese-American relations. Greater internationalizing of the curriculum. 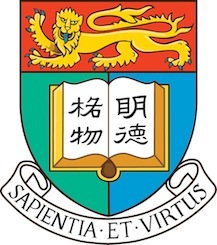 Opportunities for Wellesley students to do joint assignments with their Hong Kong counterparts.